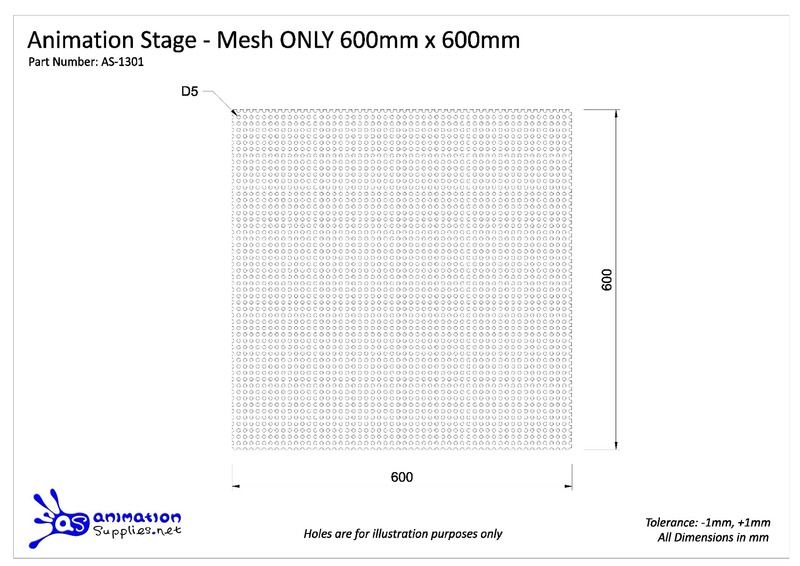 The top of our superb quality Animation stage uses a perforated galvanised steel sheet measuring 600mm x 600mm. The steel is 1mm thick and the holes in the sheet are 5mm in diameter. It allows you to easily tie-down your character, using either our threaded or magnetic tie-down systems. The top of the Animation Supplies Animation stage uses a perforated steel sheet measuring 600mm x 600mm. The steel is 1mm thick and the holes in the sheet are 5mm in diameter.